CES 2019 was ground zero for chip announcements, mainstream laptops, radical PCs and enthusiast PC building parts. Here's what impressed us the most. Put aside all misconceptions that CES is a smart home show, a home entertainment show, or even a car stereo show. CES is a computer show, and we’ve got the battle scars to prove it. 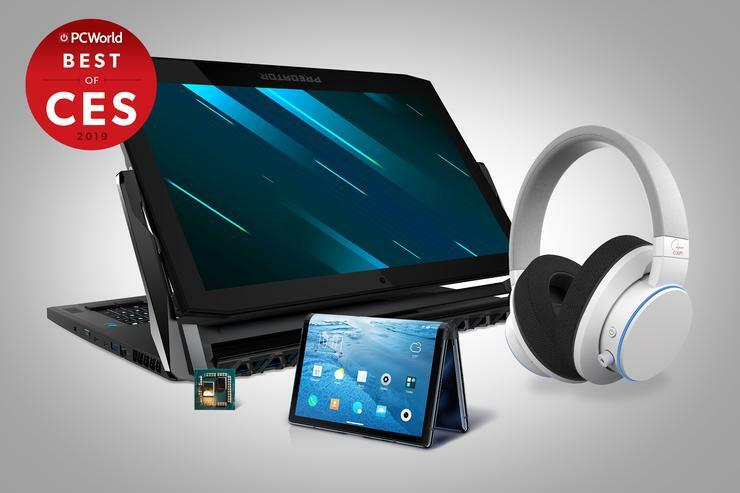 For the last four days, the PCWorld staff has immersed itself in all the laptops, chips, components, accessories and outright PC monstrosities it could find, and now we’re read to name the Best of CES 2019. Nvidia groin-kicked cost-conscious gamers when it introduced its GeForce RTX 2070, RTX 2080 and RTX 2080 Ti at far higher prices than their older counterparts. Even worse, there was no ray-trace-ready option for mid-range gamers. Well, it appears Nvidia heard the howls of anger and decided to introduce the RTX 2060, the first card capable of hybrid ray tracing at an almost reasonable $350. We were actually able to review the RTX 2060 before its grand CES unveiling, and gave it 4.5 out of 5 stars. Then, bam, the card was just about everywhere at CES seemingly moments after Nvidia announced it. 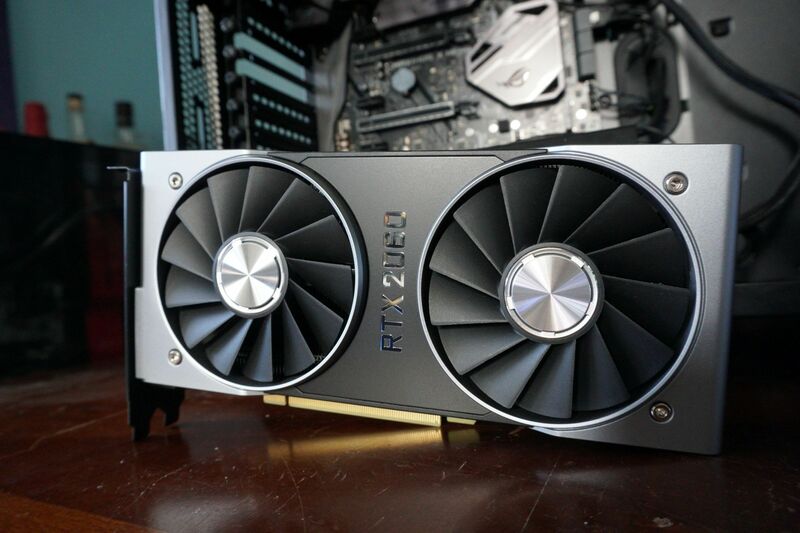 Thanks to driver and game improvements since the original RTX Turing launch, the $350 card can run hybrid ray-traced games at decent frame rates. Of course, this doesn’t allay fears of a dearth of ray tracing-enabled games, but the good news is the RTX 2060 is about as fast as a GeForce GTX 1070 Ti, which still fetches $500. GeForce RTX is too hot, and too power-hungry for laptops, they said. Well “they” were wrong. 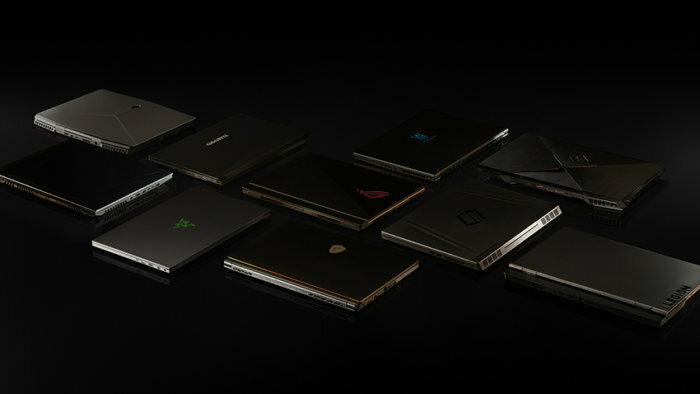 Nvidia proved all the naysayers to be, well, nay, by not just introducing GeForce RTX GPUs in laptops, but by introducing 40 different designs that have its newest mobile GPU. While there are still questions about how well mobile RTX performs, you can’t dispute that 40 wins is quite an accomplishment. We literally saw dozens of laptops running the new GPU, and running hybrid ray tracing at that. The last hurdle, of course, will be pricing. But in talks with multiple hardware partners, we learned that the price increase tied to the GPU alone is fairly small (though, obviously, other components drive up laptop costs, and those could make RTX laptops quite expensive). Even if you’re a hater, you have to respect that Nvidia pulled off a hell of a feat, and as much as some folks would want to dismiss it, hybrid ray tracing isn’t going away. 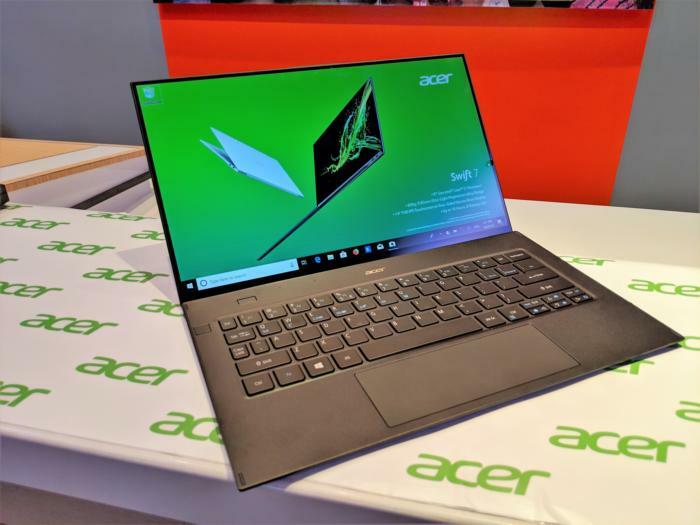 Acer’s Swift 7 already held the crown for the thinnest, lightest mainstream laptop around, but the Acer Swift 7 (2019) lightens it almost a third of a pound more, to just 2.2 pounds. That’s simply insane. If that’s all that Acer accomplished with the latest Swift 7, that would probably be enough to win a Best of CES award. But Acer didn’t stop there. No, it also sliced the display bezels down to just 2.57mm, enough so that the screen almost appears to cover the entire display. There’s more. Acer’s Swift 7 (2018) lacked a clickable touchpad, a serious deficiency that the Swift 7 has rectified in the 2019 version (also known as model SF714-52T). Add to that a new Intel “Whiskey Lake” processor and Thunderbolt 3 ports. We’re incredibly eager to get our hands on a new Swift 7 for final testing. It looks like it will be as fun to use as it is to look at. When Acer first revealed the Predator Triton 900 concept in 2018, the crazy, swivel-display gaming laptop was hidden under glass—because that’s how you show off hardware that’s so audacious, it may never reach the production line. But at CES 2019, the Predator Triton 900 suddenly became very, very real with a projected release date of March this year. Sure, it’ll cost you $3,999, but that’s the buy-in if you want to play in laptop crazytown. 8th-gen Intel Core i7? Check. Mobile RTX 2080? Yes, it includes Nvidia’s just-announced GPU. Props to Acer for including top-shelf, ray-trace-ready silicon. 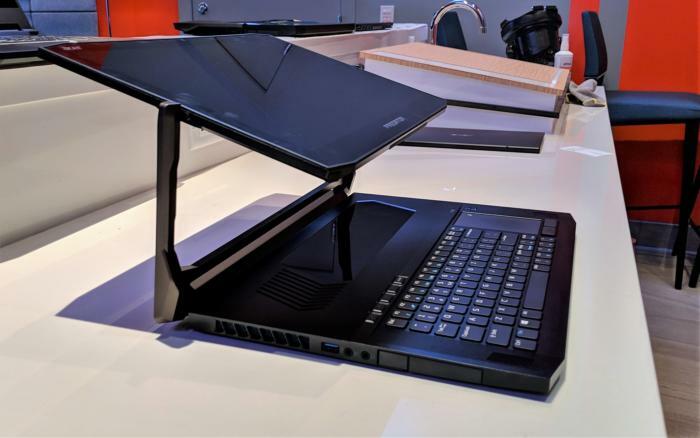 But what really earns this Predator one of our Best of CES awards is the 17-inch 4K G-Sync display—it swivels on what Acer calls an “Ezel Aero Hinge,” affording incredible positioning flexibility, from laptop mode to tablet mode to impress-your-most-jaded-friends mode. Sure, the Triton 900 is something of a parlor trick, and we still need to test the machine, but this one scores off the charts for CES wow factor. The rumbling you hear? That’s AMD’s 3rd gen Ryzen freight train coming down the CPU tracks, straight at Intel. Don’t believe us? 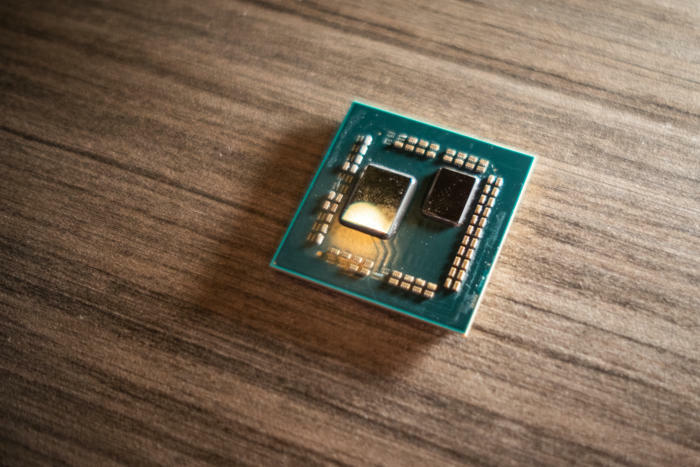 At CES 2019, the company showed off an 8-core Ryzen standing toe-to-toe with Intel’s “best gaming CPU,” the Core i9-9900K. Even more impressive: AMD leapfrogged Intel straight to a 7nm process. While most take that to mean a 3rd gen Ryzen will equal a Core i9-9900K, it should really be seen as an indication of the minimum performance that might come from the chip. But that’s what happens when a company releases the first 7nm x86 consumer CPU, and the competition is on its third retread of a 14nm process. While no one yet knows all the details, it’s entirely possible the demo chip could materialize as a 3rd gen Ryzen 5. So buckle up, nerds, and prepare for months of speculation as the hype train roars down the tracks. We’ve come a long way, baby. Just two years ago, a 17-inch gaming laptop almost needed a wheelbarrow to move around. But MSI’s GS75 Stealth will shock you at just how little it weighs: 5 lbs. That’s basically not much heavier than most 15-inch laptops. Thanks to narrow bezels, the GS75 Stealth has a footprint not much bigger than most 15-inch gaming laptops, too. And the GS75 Stealth doesn’t compromise on the specs either. 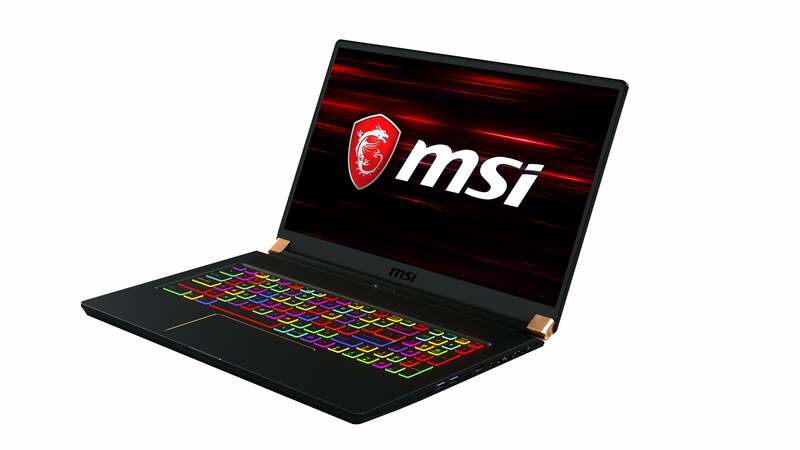 With its 17.3-inch, 144Hz FHD screen, 8th gen Core i7, and GeForce RTX 2070 Max-Q GPU, you can have your gaming and take it with you, too. Eight hours of battery life likely won’t set any records, but for a gaming laptop it’s pretty good. Not everyone is comfortable taking a small, dainty gaming laptop to the café—even if your plan is to sip a chai latte while reading French poetry. Sometimes you gotta go big, and nothing says big like Alienware’s new Area-51m, a truly in-your-face gaming laptop if there ever was one. 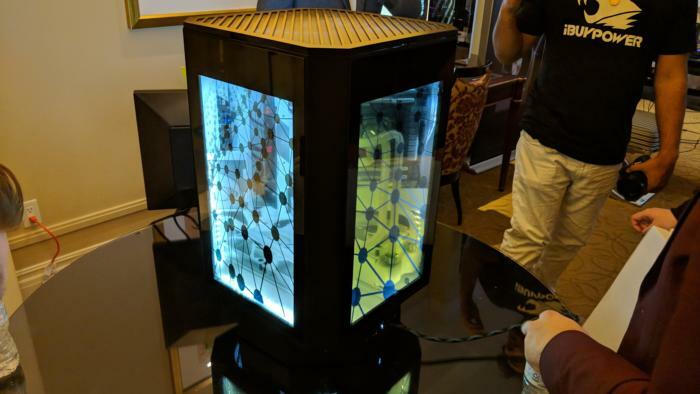 It’s got a newly revealed Alienware design language, but you might be more impressed by the parts inside it: A socketed and upgradeable desktop Core i9-9900K and a GeForce RTX 2080. But the real reason we’re so jazzed by the Area-51m is what Alienware is prepping to deliver to enthusiasts: upgradeable graphics. The problem with gaming laptops is that once their graphics cards get stale, there’s really nothing you can do except buy a new laptop. 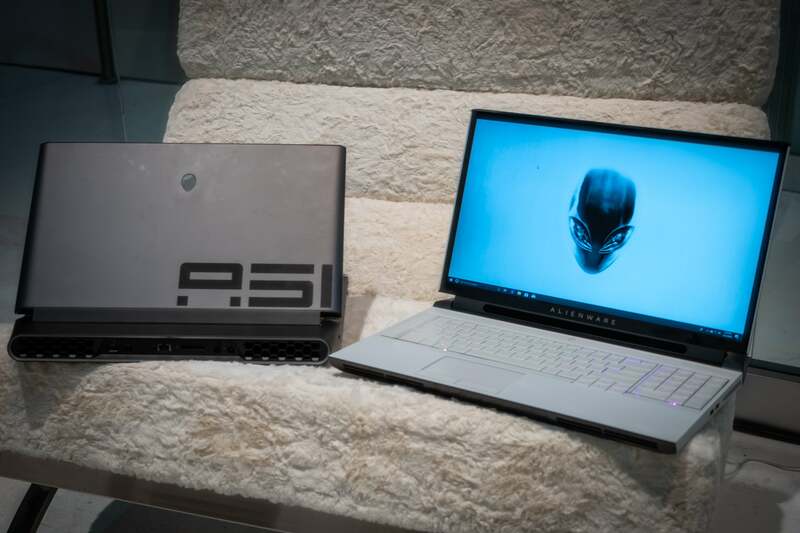 But Alienware says it designed a proprietary graphics module for the Area-51m, and it fully expects that when a new graphics chip comes out, you can either swap it out yourself or have a service rep visit and do it for you. This is basically the Holy Grail of laptop features. 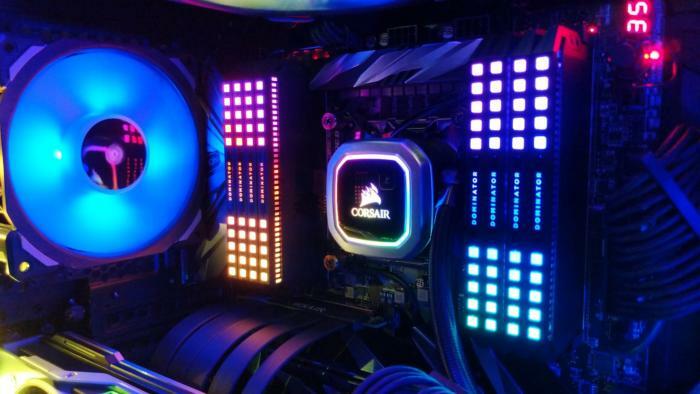 The horse probably didn’t think of much of the first Model T that passed it on the road, but Corsair’s new Capellix tech has that same game-changing potential—for RGB LEDs. You may scoff, sure. You may think new LED tech isn’t as significant as a new CPU, GPU or SSD. But we’d bet that RGB LEDs can help sell a gaming computer more than a new graphics card, at least to the average person. Capellix shrinks the size of LEDs by 90 percent while also increasing efficiency by 60 percent and upping brightness by 40 percent. You can basically fit 132 Capellix LEDs on a postage stamp, while a normal SMD LED used in today’s PCs would maybe fit 10. The upshot? Capellix could deliver incredibly bright and power-efficient LEDs in places never before seen in a gaming PC. And, yup, it’s the razzle-dazzle that’s wins most of the time. Just as we were coming down from the high of using Creative Lab’s impressive Super X-Fi dongle, the company dropped two more Super X-fi products at CES 2019, and they’re just as impressive. Please meet the Super X-Fi Theater and the Super X-Fi Air. 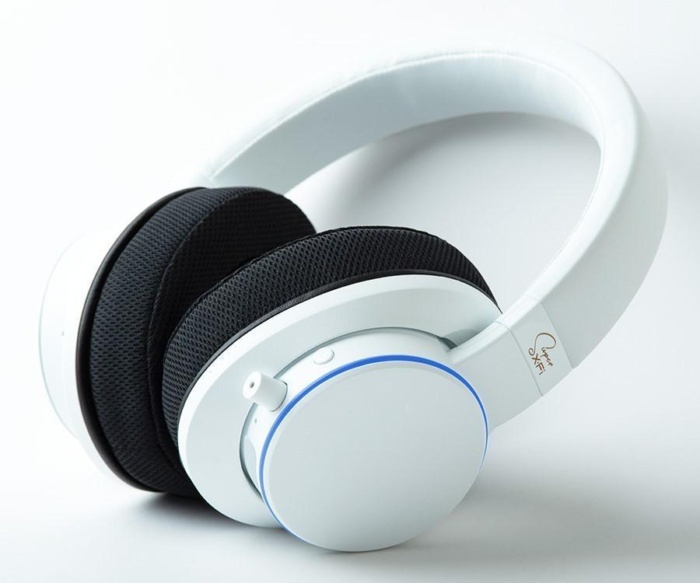 The Air is a Bluetooth headset that features Super X-Fi built directly inside. Creative calls Super X-Fi “headphone holography,” and it’s probably not the wrong phrase to use. It works by mapping out the shape of your head with a phone camera, and then with the aid of special-sauce algorithms, it creates a virtual surround-sound system using just normal headphones. In our testing of the Super X-Fi USB dongle, we can tell you it works. And it works damned well. Even cooler: Super X-Fi Theater takes it to the next level by letting you hook up anywhere from one to eight low-latency headphones for communal movie watching. Each, of course, features that same Super X-Fi audio magic. OK, it’s a phone, not a PC, but it’s cool. And we simply refuse to listen to arguments that the first folding Android phone, the Royole FlexPai, may never ship into the United States. Is the $1,300 price tag too high? Almost certainly. But in our time playing with the FlexPai, we honestly didn’t see too many turnoffs. We kept doubting it would work... but it did! The FlexPai makes a very compelling argument for folding phablets—in a vivid, tangible, “it’s working right now” kind of way. The phone folds over itself into a chunky slab that’s far thicker than the spec sheet’s claim of 7.6mm, but unfolds into a full 7.8-inch screen running a custom version of Android 9. Even better, you can run Android apps in multi-window in both its folded phone configuration or in the unfolded tablet. A phone when you need it, a tablet when you want. 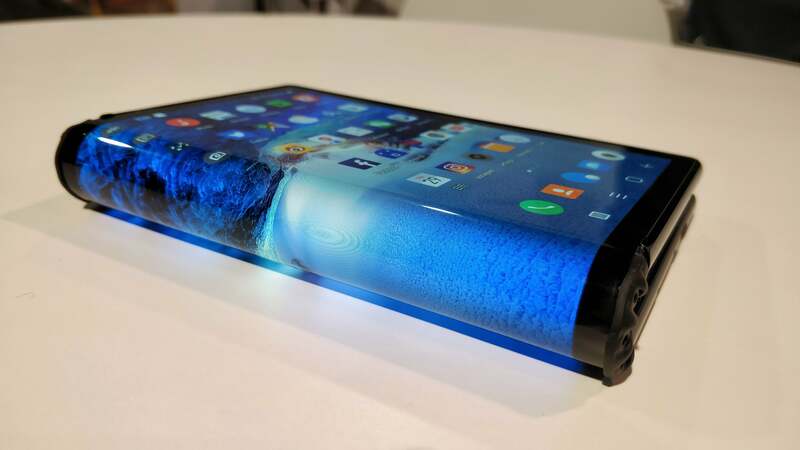 If nothing else, the FlexPai is a fantastic concept that we’ll use as a comparison point if and when Samsung rolls out its own folding phone. CES isn’t just a trade show for new products. 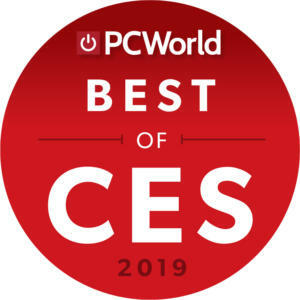 It’s also the show where PC vendors dig deep to create crazy, over-the-top project PCs to catch the attention of the press and net one of those snazzy “best of” buttons. Well, after seeing dozens of crazy computers—including one with a Nintendo Switch built inside—the winner of “America’s Got Crazy PC” contest is easily iBuypower’s Snowblind X4. Not only does it feature four crazy Snowblind doors with motion color graphics, the entire PC rotates like one of those rotating restaurants at the top of a hotel. What’s really impressive, though, is that iBuypower has come up with a way to pass not just power from the base, but also data and video too. The company tells us it used a hub similar to those used in windmills. Honestly, we don’t care. We just know that when we want to see the right side of our liquid-cooled graphics card, we don’t want to get up move—we want the PC to move for us.